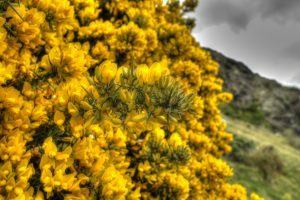 The hills above Edinburgh, Scotland were bursting in the monochromatic splendor of bright yellow flowers, announcing the arrival of spring. In their shadow sat the Scottish Parliament building, where we were assembled for the spring conference of the International Academy of Mediators. Dr. Ury’s presentation appropriately began by quoting the famous Scottish poet, Robert Burns, in his ode “To a Mouse.” “The best laid plans of mice and men often go awry.” He observed that Robert Burns wrote this poem while plowing his field and inadvertently destroying the nesting home of a field mouse. In that moment, Mr. Burns felt compelled to write about his empathy for the little creature. For millions of years, human beings were part of hunting and gathering tribes, where the entire community dealt with conflict between individuals or families. There was a sense that a conflict was the responsibility of everyone, not just the conflicted parties. So, village elders, often seated around the campfire, led a discussion about how the conflict was impacting the community at large and what should be done to resolve it. From an anthropological perspective, Dr. Ury observed that the intervention of third parties acting as peacemakers is part of our human heritage. Unfortunately, what has transpired in more recent times is that the needs of the broader community have been largely left out of the conflict resolution conversation. For example, when an estimated five to six million people may perish in the first hour of armed conflict on the Korean peninsula, who is protecting their interests? Dr. Ury posed this challenge to all of us: How can we as mediators generate this same tribal sense of communal responsibility for conflict in our modern world? How can we recreate the campfires, where all voices can be heard and respected, and where third party intervenors can find ways to address not just the interests of the disputing parties, but also the interests of the community as a whole? Dr. Ury described three practices that mediators should cultivate, as we contribute our conflict resolution skills toward developing the solutions our world so badly needs. These practices are fundamental to all successful negotiations, regardless of whether the intervention is nuclear disarmament, or something more mundane. The single biggest obstacle to achieving results in any facilitated negotiation is not the person seated across the table, but our selves. It’s our own human nature to react in ways that are often counter-productive to the broader objective. How do we resist this gravitational pull into the conflict itself, so that we can maintain focus on the broader objective? Dr. Ury suggested that it begins by creating a place of calm for yourself and “tuning your own instrument,” in advance of assisting others. He metaphorically described a negotiation as a play. Above the stage sits a balcony, from which everything can be observed. Once negotiations are underway, regardless of how stressful the moment, he mentally places himself on the balcony, so as not to lose sight of the larger objective. In one illustrative moment, he talked about his experience with a world leader, who literally screamed at him for close to an hour. During the tirade, Dr. Ury literally pinched his palm to remind himself to stay focused, from the balcony perspective, rather than get drawn into the moment. We are in the midst of a technological revolution, and opportunities for communication have never been greater. Yet, we are simultaneously failing in our efforts to teach effective listening skills. In mediation, it’s never been more imperative that we learn to listen for the other side’s unmet needs and interests, often by focusing on what’s not being said. We must find ways, by developing more sophisticated listening techniques, to put ourselves in someone else’s shoes long enough to gain perspective. In a hostage negotiation, for example, there is typically one officer who communicates directly with the hostage taker, while numerous others are designated listeners. Those listeners strain to hear the underlying interests of the person on the other end of the phone line. Dr. Ury again provided an important example from his own work. He was once part of an international negotiating team attempting to bring an end to the fifty-plus year conflict between the government of Colombia and armed rebels. During one critical moment in the negotiation, a general refused to agree to the suggested language of a proposed truce. This impasse lasted for days and threatened to unravel months of productive negotiations. Dr. Ury met privately with the general, and in thirty minutes of focusing on the general’s underlying reasons for objecting to a specific phrase, he suggested alternative language that broke the impasse. Sun Tzu, the Chinese military strategist, in his fifth century B.C. work, The Art of War, famously observed that the best general is the one who never goes to battle. The book wisely suggests considering allowing your adversary an avenue of retreat, a so-called “golden bridge” away from battle. Dr. Ury uses this metaphor in light of modern day negotiations by asking himself these questions at the beginning of every mediation, “How do I make it easier for the other side to reach the decision that I want them to get to? How do I effectively build a “golden bridge” that will allow them to achieve their negotiation objectives?” The answers to these important questions begin by focusing on the desired end of a negotiation and working backwards. Early in a negotiation, Dr. Ury will pointedly ask each party to imagine themselves at the end of a successful negotiation. What will the other side’s victory speech to their constituents need to address? What will they have to have in order to claim victory? Again, referring to his experience working with the government of Columbia, he invited its leaders to envision a victory speech by the rebel leaders who would agree to lay down their arms after decades of conflict. What would they need to be able to say to their followers? That there had been improvements in social justice, land reform, and reintegration into the political process? This reflective exercise essentially created a list of core interests that shaped the negotiations. Is peace possible in North and South Korea? If so, what will need to be included in the victory speeches given by the leaders of North and South Korea, as they begin to heal old wounds? What interests must be identified and addressed, as we explore ways to build this golden bridge to agreement? Conflict is a naturally occurring part of the human condition. It’s the endless friction between different points of view that creates synergies and generates new ideas. How we manage this conflict, how we allow for differences of culture, religion and political perspectives will define our success moving forward. On this beautiful morning in Edinburgh, the city of enlightenment, it’s only fitting that words like compassion, empathy and respect guide our thoughts, as we consider how to address conflict in the world around us.